Y5 Superstars Organise Red Nose Day Sale! These superstars in 5T organised a sale after school, selling cakes, biscuits, book marks, stress balls and running a guess the name of the teddy competition. 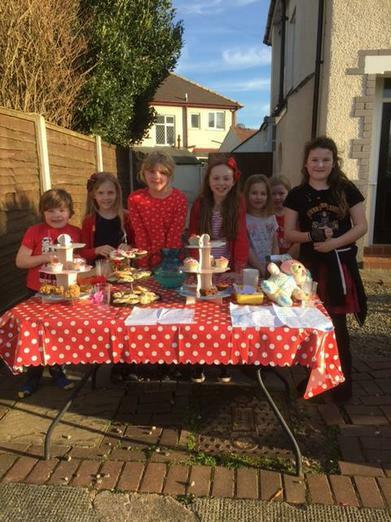 They raised a whopping £64 for this fabulous cause. Well done, girls - we are all very proud of you!